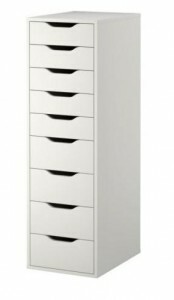 If you’ve ever done some research into storage ideas for your massive make-up collection, you’ll no doubt have come across the Ikea ALEX unit, which is a standalone, nine drawer unit that looks as if it were made for make-up. However, if you’re like me, you’d need at least three of these (try not to judge me, I just really like a good lipstick which is why I have over 200 of them) and at £90 a go they’re not exactly savvy spending. 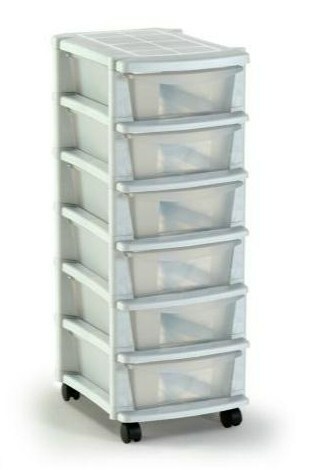 Therefore, I’ve come up with some alternative, stylish, storage ideas in honour of #StyleWeek on ShinyShiny. 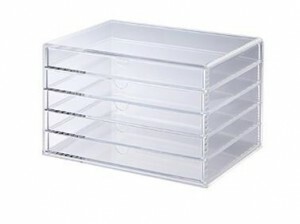 Perspex storage units are great for desktop storage and easy access, as they’re clear and usually in a drawer format, although other designs exist too. There used to be a time when they would also cost a small fortune, but you can find some great units on eBay for a few pounds, or if you don’t mind spending a little bit more then check out Muji’s awesome selection here. 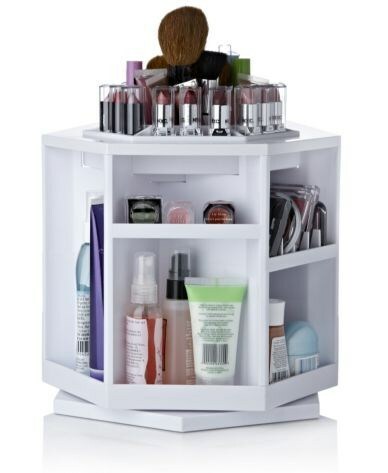 The Lori Greiner Tabletop Spinning Organiser, is, as the name suggests, an organiser for your make-up that’s been designed specifically to address beauty storage needs. It’s definitely a novelty and not for someone with a lot of product – I’d need about 12 of these which would then all get a bit counterproductive – but if you’re one of those people I really admire who can Feng Shui their make-up down to a chosen few essentials then you will love this very handy helper. It isn’t widely available anymore, but a little bit of hunting around should find you a decent second-hand one. If you’re set on a standalone drawer unit rather than a tabletop version, then I found several really useful units at Argos. They’re not quite in the same league as the Ikea Alex, but I have two of the six drawer units for all my make-up and I’ll likely be adding some of their five drawer units to my collection for storing larger items like skincare and hair products. 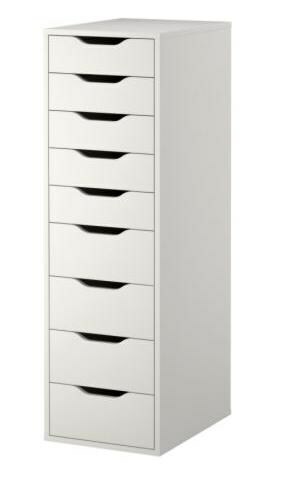 These are very reasonably priced and often on offer, so you’d be looking at around £30 for a six drawer unit. Finally, for brushes and liners, I love using old candle cups to store them. 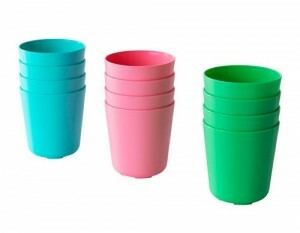 However, cheap and cheery beakers from Ikea serve just a well and you can afford to stock up on a few and colour coordinate too. Whatever makeup storage option you choose, be sure to read the Makeup Caddy reviews of each product to ensure it is the correct one for your needs. 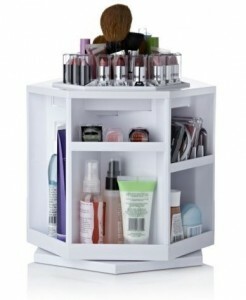 Got any genius makeup storage ideas? Let us know in the comments.